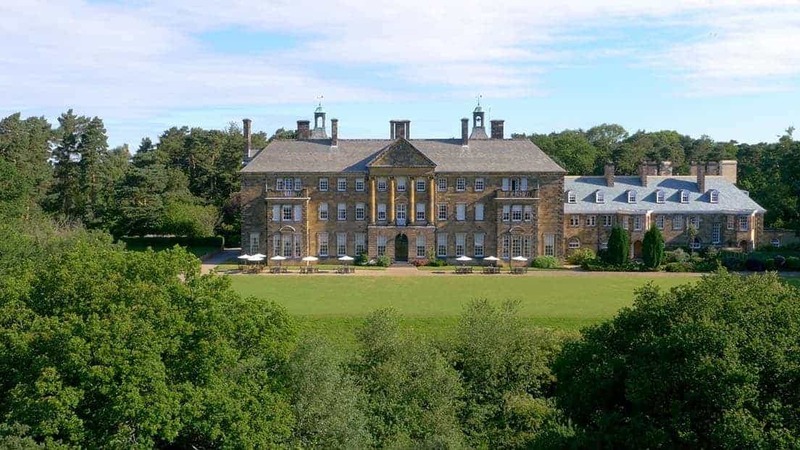 The recipient of this gift experience can choose to stay for one night in a Classic bedroom at Bailbrook House Hotel, Crathorne Hall Hotel, New Hall Hotel & Spa, Norton House Hotel & Spa, Rookery Hall Hotel & Spa, Stanbrook Abbey Hotel, St Pierre Park Hotel, Spa & Golf Resort and Wood Hall Hotel & Spa. The recipient of this gift experience can choose to stay for one night in a Classic bedroom at Ettington Park Hotel, Fawsley Hall Hotel & Spa, Grand Jersey Hotel & Spa, Nutfield Priory Hotel & Spa, L'Horizon Beach Hotel & Spa, Rhinefield House Hotel or any other Hand Picked Hotel of your choice. The recipient of this experience can enjoy the splendour of a traditional afternoon tea for two at the following hotels: Grand Jersey Hotel & Spa, L'Horizon Beach Hotel & Spa and St Pierre Park Hotel, Spa & Golf Resort. The recipient of this experience can enjoy the splendour of a traditional Champagne afternoon tea for two at the following hotels: Audleys Wood Hotel, Crathorne Hall Hotel, Ettington Park Hotel, New Hall Hotel & Spa, Wood Hall Hotel & Spa. The recipient of this experience can enjoy the splendour of a traditional Champagne afternoon tea for two at the following hotels: Chilston Park Hotel, Fawsley Hall Hotel & Spa, Nutfield Priory Hotel & Spa, Rhinefield House Hotel, Rookery Hall Hotel & Spa, Stanbrook Abbey Hotel and Woodlands Park Hotel. The recipient of this gift experience can choose to stay for one night in a Classic bedroom at Audley's Wood Hotel, Buxted Park Hotel, Brandshatch Place Hotel & Spa, Chilston Park Hotel, Woodlands Park Hotel, Grand Jersey Hotel & Spa* and L'Horizon Beach Hotel & Spa*.